For more than 20 years, we have been building and remodeling homes in and around Summit, Stark, and Portage County. We have built solid relationships with our clients, subcontractors, and suppliers that give us an edge, to get you the best price and exceptional quality that you deserve in your home or workplace. We pay attention to every detail, whether small or large, to make sure that your experience will be top notch, professional, and expertly handled. If you’re looking to remodel or build from the ground up, we handle all phases of construction, expertly and efficiently. Whether you have you own plans or you need us to draw them, we are a full service company that can deliver from start to finish. If it’s your first home or your next home you’ll just be happy to say that it’s a Michael Horning Design Build Home.  "Michael Horning Design was very knowledgeable and excited to take on our Remodel. Highly recommend Michael Horning!" William S.